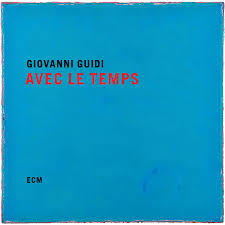 Guidi’s core trio with bassist Thomas Morgan and drummer Joao Lobo opens ‘Avec le temps’ with a deeply-felt interpretation of the title track, the song of love and loss by the Monaco-born poet-composer-chansonnier Leo Ferre, and closes the album with “Tomasz”, a Guidi original dedicated to the late Tomasz Stanko, take Giovanni’s conception of the art of the trio to the next level, extending the work begun on the critically-praised albums City of Broken Dreams and This Is The Day. In between, the band swells to quintet size, with saxophonist Francesco Bearzatti and guitarist Roberto Cecchetto contributing to Guidi originals and group improvising in a programme of strikingly contrasting energies and colours, with outstanding playing by all participants. ‘Avec le temps’ was recorded at Studios La Buissonne in November 2017 and produced by Manfred Eicher.